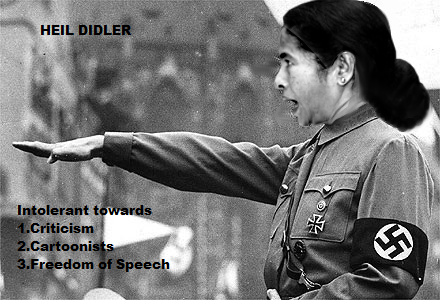 The All India Trinamool Congress (TMC), has never failed to disappoint when it comes to theatrics and loud clamouring. The party’s name has been synonymous with this image (or sound,) since its inception in 1998, but it has gone a long way since then. Smt. 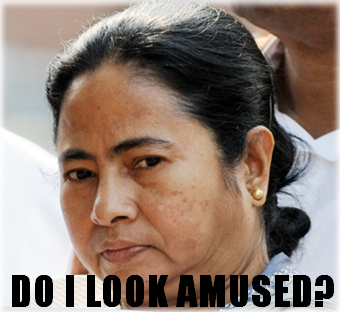 Mamata Banerjee not looking amused. Started in 1998, the TMC became the leading opposition to the Communist Party of India Marxist (CPI-M) in West Bengal, which by then had ruled the state for more than two decades. It shot into prominence after spear-heading the Nandigram and Singur movements in 2006, whose aims were fighting against land acquisition for a chemical hub and a Tata Nano factory in these districts respectively. Popularly known as ‘Didi’ from then, Banerjee’s movements were successful and this sealed her image as the saviour of Bengal’s lower classes. In the state elections of 2011, the CPI-M suffered a crushing defeat at the hands of Banerjee’s party, marking the end of the world’s longest democratically-elected communist government after 34 years of rule. However, whether the change in government bodes well or ill for the debt ridden state is still to be seen. The TMC manifesto has made grandiose promises to the electorate, which include revival of agricultural and industrial sectors and a flow of investments that will battle the Rupees two lakh crore debt that was incurred by her predecessors. Two years post 2011, how many of these promises have been fulfilled? Ms Banerjee claims that in the last year, Bengal has outperformed India in the agricultural, industrial and service sectors as a whole. Impressive? Think again. Bengal has always performed well when it comes to the agricultural and service sectors. The service sector has maintained its growth rate, but the manufacturing sector’s highest growth was between 2009-10 at 11.83 per cent. In 2011-12, it fell to 2.18 per cent. Meanwhile, the industrial sector, (as reported by the Hindu) is flagging and its contribution to the state is 18.8 per cent as compared to 19.1 per cent a year ago. Of course, nowhere has Banerjee mentioned per capita income levels, which have declined from 16.3 1per cent growth in 2010-11 to 14.88 per cent in 2011-2012. 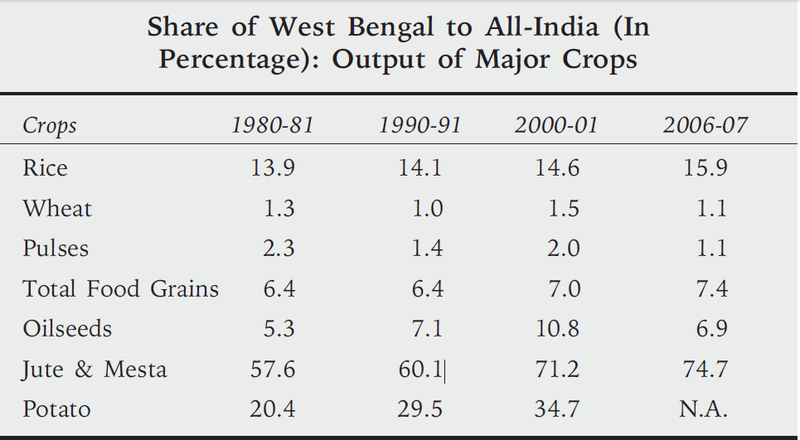 As claimed, the TMC government has outperformed India, but has failed to outperform its predecessors. Not all news is bad news, however. Bengal now tops the chart in maximum utilization of funds for the Integrated Action Plan to counteract Maoism in India. The state pays surrendered Maoists a stipend of Rs 2,000 a month and a fixed deposit of Rs 1.5 lakh, encashable after a 36-month period. 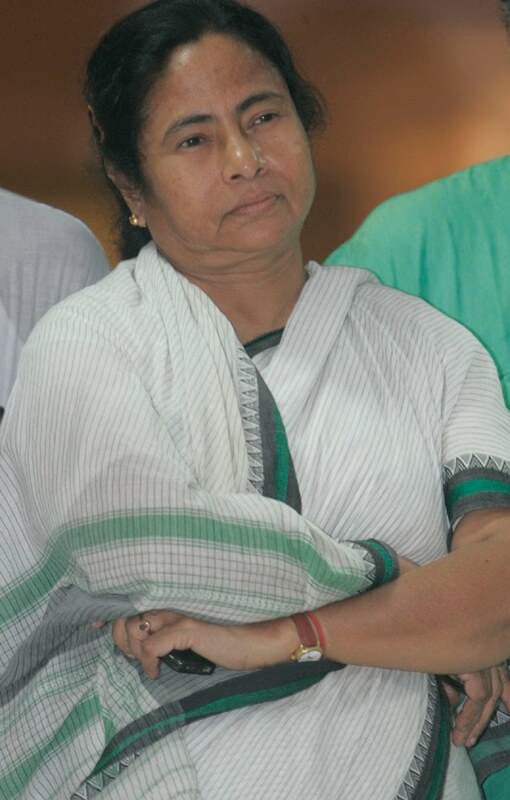 The image of Ms. Banerjee is associated with austerity. Always dressing in tant sarees sans cosmetics and jewelery, she aims to represent Bengal’s rural population. She has replaced her secretariat chair with a wooden one, claiming she was merely an aam aadmi . This austerity isn’t something her ministers have felt bound by, however. With the uncovering of the Saradha scam in April 2013, the party suffered a painful blow when it was revealed that Trinamool MP Kunal Ghosh and Transport Minister Madan Mitra were involved in the Ponzi scheme. On the other hand, Banerjee has frequently visited hospitals and asked that conditions be improved for lower class patients. She is attempting to enforce a fine on spitting – a small affair when seen at a glance, but few other politicians make such attempts. A proactive policy for women is on the agenda, announcing 50 per cent of seats at the panchayat level reserved for women, while 65 police stations and 45 special courts will be established. The Plan outlay for minorities in 2010-11 has been increased to Rs 859 crores and her secularism is well known and appreciated. All this is commendable, but do they outweigh the cons of the Banerjee government? Of late, less attention is being paid to the activities of the party’s followers. In the Howrah by polls, most opposition parties cited misbehaviour by TMC candidates and workers. A month ago, Trinamool workers almost burnt a journalist to death and were only stopped when the public intervened. The Sudipto Gupta case and the government’s denial of any involvement have weakened their cause. Banerjee’s behaviour, her ministers’ resignation from Parliament and her failed no confidence motion have always been much commented (or laughed) about. After deserting both the UPA and NDA in their coalitions for not assenting to her wagging finger, Banerjee now believes she can cause a radical shift in Indian politics. Her latest shenanigans include trying to bring about the elusive Third Front, but the success rate of her vision is yet to be seen. So what is the future of Bengal politics? With a woman who establishes no control over her own party, fights vigorously for lost causes, aims to change things without knowing what she’d like changed in the first place, where are things heading? This is a party that is not open to its electorate and whose chief minister calls anyone who questions her policies Maoists. Her setbacks in the Howrah by polls clearly show that the urban electorate is losing faith in her, and the distance put between herself and both Supreme Parties will leave her alienated in the Indian political whirlpool. So, the question is, where is the TMC headed, and can conflict ridden Bengal really afford to find out?